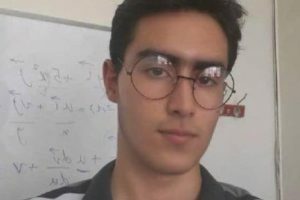 Harana News Agency – Three Baha’i youth, Ruhyyeh Safajoo (21) and Tara Houshmand (21), and Sarmad Shadabi (22) have each been sentenced to five-years prison sentences. According to the HRANA, Human Rights activist news agency in Iran, in 2014 these three individuals sat for their university entrance exams. However, information as to their ranking was withheld from them and they were denied the opportunity of selecting a field of study, due to their being members of the Baha’i Faith. 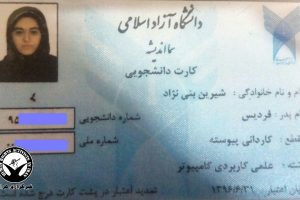 As the denial of access to education based on religion is in violation of Articles 19, 20 and 23 of Iranian Constitution*, these students rightly protested and wrote to various government agencies, including the Office of the President, the Ministry of Science and Research, and other relevant organizations, seeking remedy. They received no response from any of the agencies or individuals. 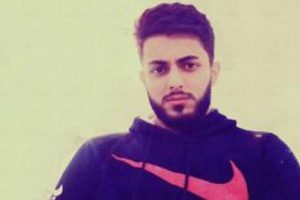 They were able to have a meeting with the Tehran’s parliament representative, Mr. Majoob, in which he insulted and humiliated them, then threw them out of his office. 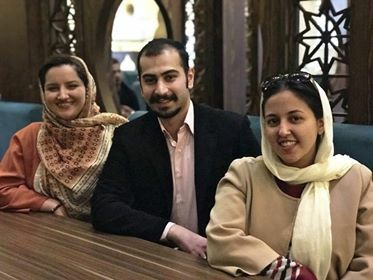 About a year later, all three were arrested in February of 2016, and released on bail in March (Ruhyyeh Safajoo and Tara Houshmand, 50 million Toman each, and Sarmad Shadabi 200 million Toman). After their release, they were summoned to the court on six separate occasions. However, only two court sessions were held out of the six summons. When answering the fourth summons, they found that the judge (Judge Moghisheh) was not available. The case was given to another judge, who, after hearing the defense presented by the students and their lawyers, requested that the Case expert be brought in for further examination, and to explain why these students had been arrested. On Thursday, September 26, 2017, answering another summons, the students and their lawyers appeared in a court presided by Judge Moghiseh. The prosecutor’s representative was not in attendance. After a month’s time, in October of 2017, Judge Moghiseh, irrespective of the request of the previous judge, issued each student a sentence of five years on charges of “acting against national security by membership in the misguided Bahá’ísm cult,”(Being a Baha’i). During sentencing, Judge Moghiseh made no mention nor took account of a bill in the case or the previous arguments of the defendants and their lawyers, as if they had not appeared in the court nor had legal representation.